Albert Lanterman was born on October 31, 1856 on a farm just outside of Blairstown, NJ to New Jersey natives Abraham and Jane Craig (LaRue) Lanterman. In addition to two brothers, he had at least five sisters, Retta, Georgia (Shaw), Ida, Emma and Elizabeth (Staley). Albert completed his education in the Blair Presbyterial Academy in Blairstown, NJ. He moved to Fisher in northwestern Minnesota in 1875. His two brothers William and Ruben had already immigrated there as well as sisters Retta Lanterman and Elizabeth Lanterman Staley plus her husband James Staley. Albert and brother William would move in 1881 to Hillsboro, Dakota Territory and engaged in business there. Both he and his sister Elisabeth would marry into the Rosencrans (sometimes spelled as Rosenkranz) family, a long established European family. 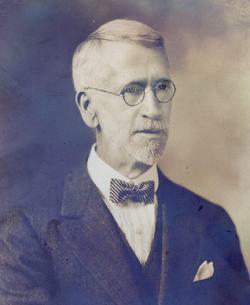 Elizabeth married James Hartwell Staley, grandson of Isaac Rosencrans. Albert returned to Blairstown, NJ to marry Margaret Maria Rosencrans on February 2, 1882 who was James Staley's first cousin, once-removed. Immediately after the wedding, the couple boarded a train and headed west to Hillsboro, Dakota Territory. Albert and Maria had one son, Evart Rosencrans Lanterman, born in 1896. When in 1883 brother William moved onto Mandan, Albert remained behind for a year to dispose of their assets there. 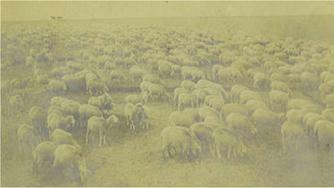 In the early days of Morton County, the brothers brought large flocks of sheep into Morton County from Oregon. When they liquidated the business, they had over 32,000 head of sheep. The brothers also engaged in a wide variety of businesses, including lumber and machinery, grain buying and banking. Albert was the owner of the Flakker Apartments, and his son Evertt built the house across the street known as the Biggs house for many years and later owned by Leo Eckroth. While reportedly hesitant to invest in farmland, he was a large holder of residential property in Mandan. In the latter years of his residence in Mandan, Albert devoted his time to supervising the rental of homes he owned. While he is frequently associated as vice-president to his brother's banking activities, Albert took the lead in managing their ranching, grain purchasing and real estate businesses, while William focused on managing the operation of the State Bank of Morton County. In October 1919 Albert and his son, Evart, narrowly escaped death surviving a roll-over accident involving their their automobile. A shrewd businessman, his investments enabled him to build his future to over $2 million dollars ($25.2 million in 2010 equivalent) in the late 1920s. He was at one time the largest individual investor in Columbia Gas and Electric (a New Jersey public utilities corporation) and other major stock holdings including in Sears Roebuck & Company. While the Great Depression reduced his net worth considerably, he always remained a wealthy man. The couple resided in Mandan for 45 years, involved in civic affairs. They were also active members of the First Presbyterian Church. In October 1928, the couple as well as their son and daughter-in-law moved to the Los Angeles area. 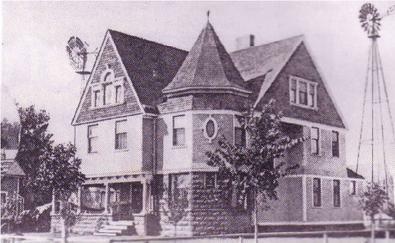 Albert and Maria sold their home at 219 North 3rd Avenue NW to Dr. L. G. Smith and his wife. The home, as well as the residence to the south, was torn down in the 1970s to make way for a new central telephone exchange for Northwestern Bell (now CenturyLink). Maria Lanterman died shortly after their arrival in Glendale, California on June 4, 1930. Albert met Ellen Kelly and was engaged to marry her in 1931. However no confirmation of the marriage has been found to date. No reference to the second marriage was mentioned in the obituary printed by the Mandan Pioneer which announced his death on August 24, 1937. He spent several years living with his son and daughter-in-law before moving to an apartment at a Beverly Hills California hotel where he resided at the time of his death. Mr. Lanterman had undergone surgery at a Los Angeles hospital, but died on August 17, 1937 at the age of 81 due to complications associated with surgery. Funeral services were held at Church of the Flowers in Glendale, CA. He was buried in the family plot in Forest Lawn Cemetery, Glendale.